Did you know you can enjoy Bronco member privileges at almost 5,000 locations across the United States? 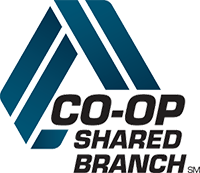 If you’re travelling, away at school, or even if you move, finding another credit union where you can take care of your Bronco needs is as easy as looking for the Shared Branching Service Center logo. All you need is your Bronco member number and a valid government-issued ID in the form of a driver’s license, U.S. Passport, etc. To find a Shared Branching location, visit the CU Service Centers website. While there, you can also download a free iPhone app to use when you’re on the go.